The new primary emblem is inspired by the Kings classic logo. It is reimagined to reflect the civic and franchise pride that has lasted and grown for a generation. Now, with a clean, modern look – a reshaped crown, refined basketball and new typeface that puts Sacramento front and center – the new identity draws from the team’s ambitious beginnings and reminds our region and the world that Sacramento is undergoing a transformation. Each of the team’s new insignia are designed to connect to the elements that define the Sacramento Kings: Our City. Our Pride. Our Foundation. The secondary logo featuring the lion, pays tribute to the unmatched pride and loyalty of the NBA’s best fans. The “Sac” badge is dedicated to the bold and unwavering devotion the Kings organization has for its city. 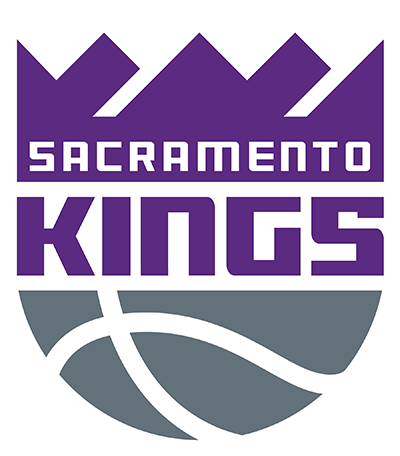 A new crown logo reflects the rich tradition of the team dating back to its origins, reminding the fanbase and the community of Sacramento that, “we are all Kings.” The heralding lion crest represents leadership and strength and will be used as the Kings work to make basketball the premier global sport of the 21st century. Gear featuring the new logo is available now from the Kings team store.